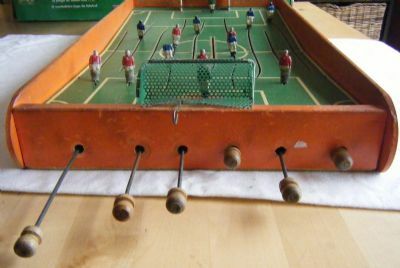 A lovely old wood and lead game of the classic lever and push rod type. A British classic. 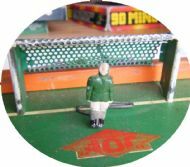 Available in at least 7 and 11 a side versions. 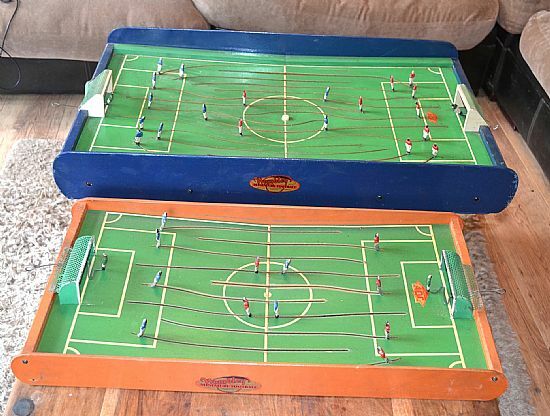 The 7 and 11 a side games side by side. 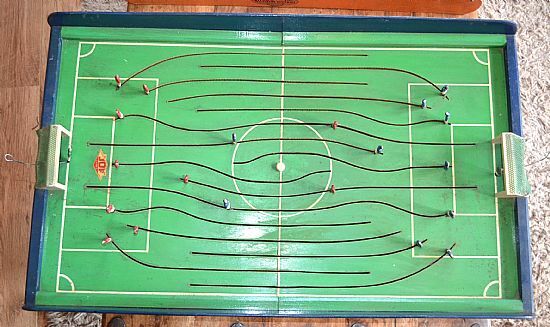 The 11 a side is a superb piece of work. 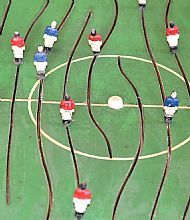 A sturdy wooden pitch with metal goals and figures. 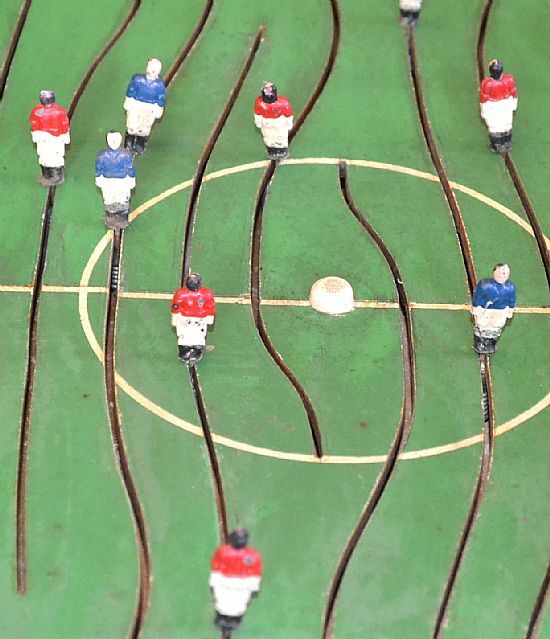 Plenty of dead space on the pitch as the player movement is limited. 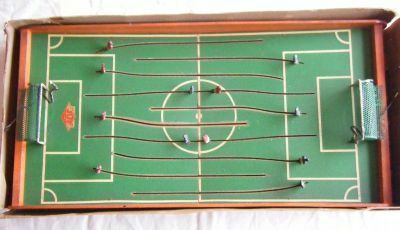 Complete boxed 11 a side game dated 1934. 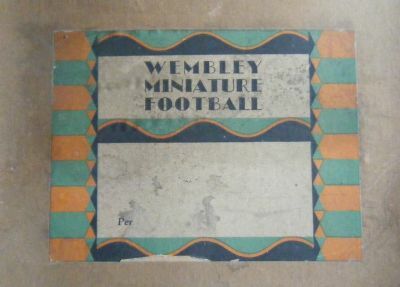 Old cardboard box with nicely designed label on it. 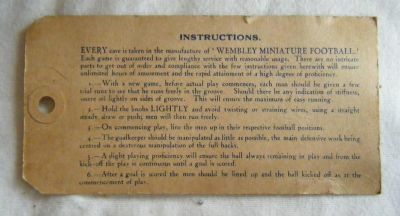 The game instructions were printed on a luggage label! A little static and non-plussed in his outlook! 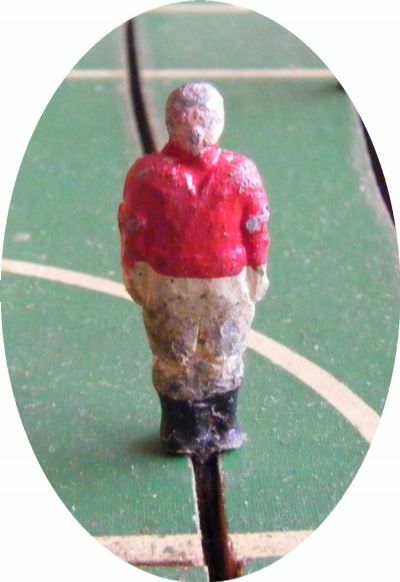 Not too much time was spent designing the player figures. Frantic match action. 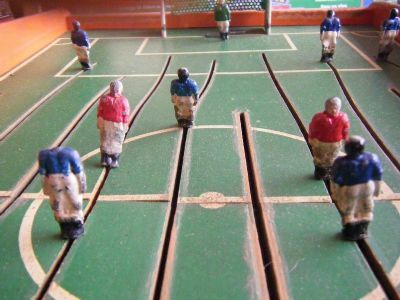 The 11 a side game had two players per slot in some instances.